Renowned for its clarity and accessibility of writing style, this popular volume explains the fundamental principles of human anatomy and physiology while exploring the factors that contribute to disease process. Rich with helpful learning features such as Mechanisms of Disease, Health Matters, Diagnostic Study, and Sport and Fitness, this volume has been fully updated to make full reference to European healthcare systems, including drugs, relevant investigations and local treatment protocols. The also book comes with an extensive website facility (which includes a wide array of helpful lecturer resources) and accompanying Brief Atlas of the Human Body and Quick Guide to the Language of Science and Medicine. 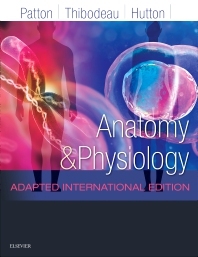 Anatomy and Physiology, Adapted International Edition, will be ideal for students of nursing and allied health professions, biomedical and paramedical science, operating department practice, complementary therapy and massage therapy, as well as anyone studying BTEC (or equivalent) human biology.